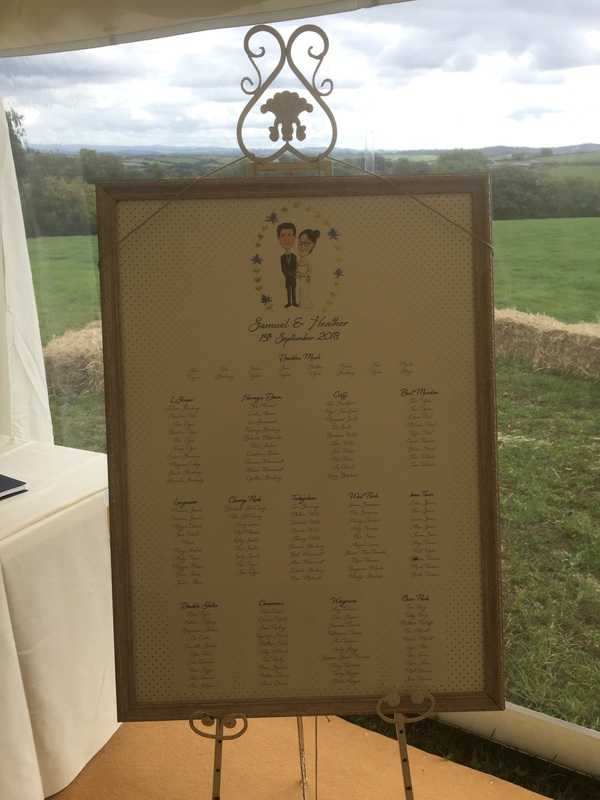 On Saturday 15th September, we were the chosen wedding caterers for the marriage of Heather and Sam. 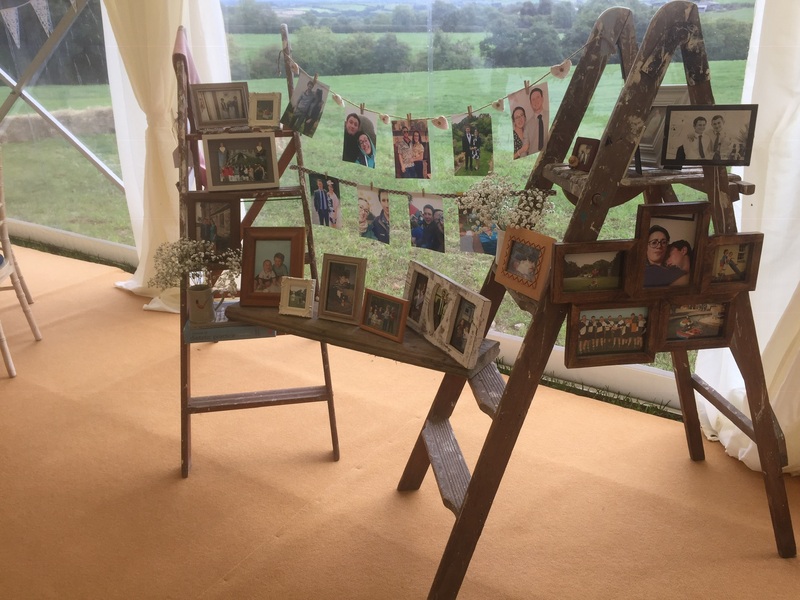 The couple married at Werrington Church, not far from Launceston, before returning to Sam’s family farm near North Petherwin for their reception. 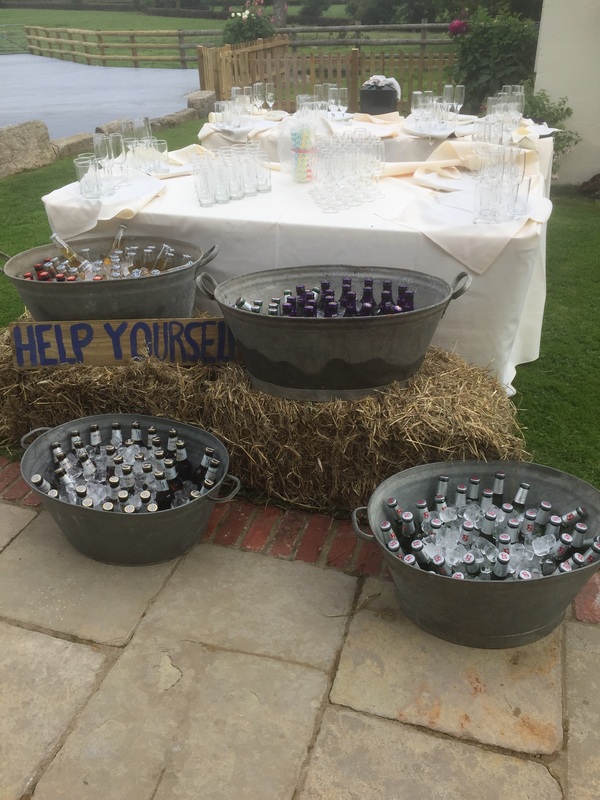 Despite the lingering showers, the couple and their guests arrived to the marquee in glorious sunshine, where we served a Pimm’s and lemonade garnished with colourful, fresh fruit, Prosecco with an autumnal raspberry, a selection of bottled beers and orange juice for the drivers and children. 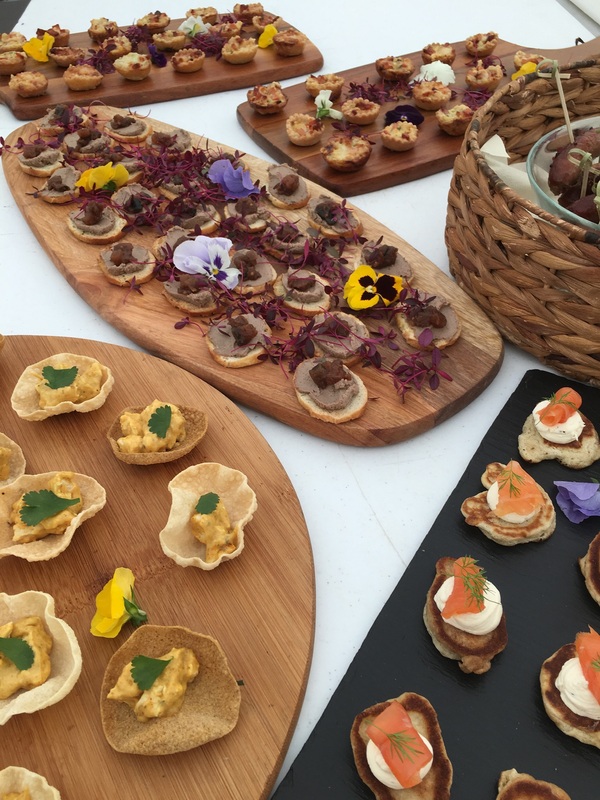 …chicken liver pate and homemade Mediterranean chutney on crostini; smoked salmon, cream cheese and dill blinis with micro dill; miniature butchers sausages with a honey & wholegrain mustard glaze; crispy bacon and gruyere tartlets; roasted baby potatoes with soured cream and chives. 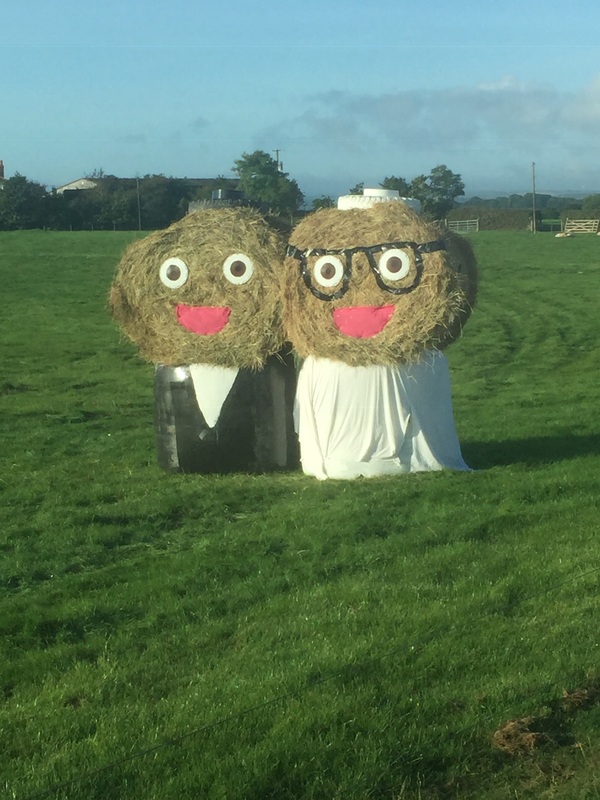 Heather spent tireless hours hand painting these amazing favours that truly reflected their shared passion for farming. 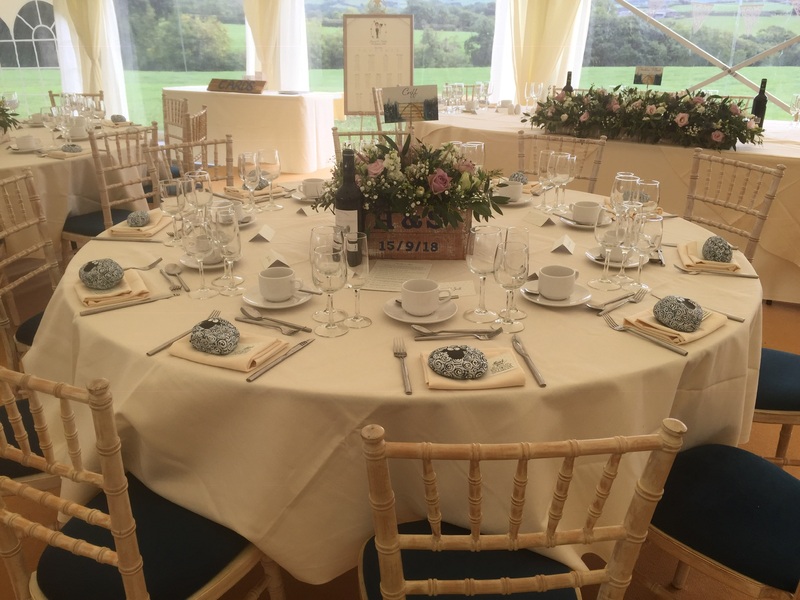 The table centres were rustic, miniature wooden crates filled with beautifully arranged flowers that looked stunning. For the wedding breakfast, we served roast Devon beef with a homemade Yorkshire pudding and a rich gravy; chicken breast stuffed with wild mushrooms, wrapped in smoked bacon and served with a madeira sauce; crunchy pesto and mozzarella baked mushrooms alongside dishes of crispy roast potatoes and a panache of carrots broccoli and green beans. 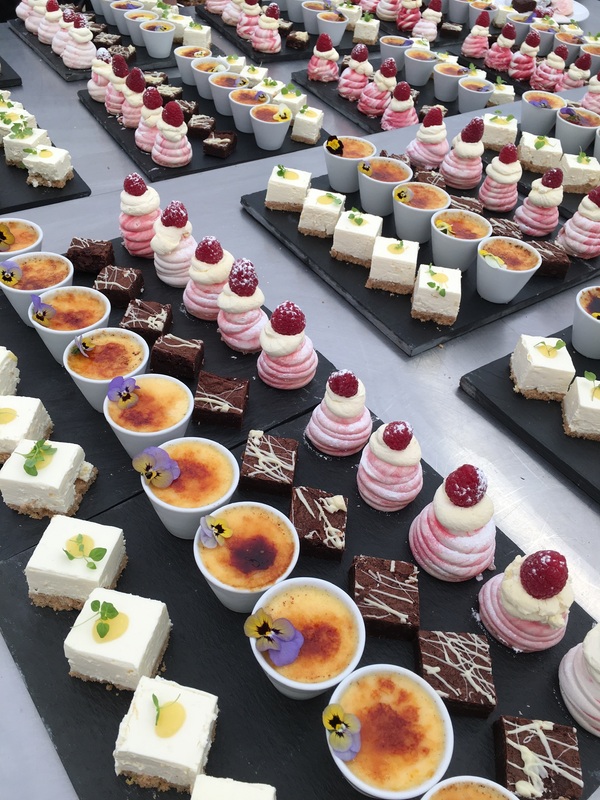 To follow, Caroline’s famous sharing platters provided their spectacular ‘wow’ factor adorned with minature classic creme brulees, baby raspberry pavlovas, dark and white chocolate brownie and lemon cheesecake with lemon confit alongside bowls of clotted cream. 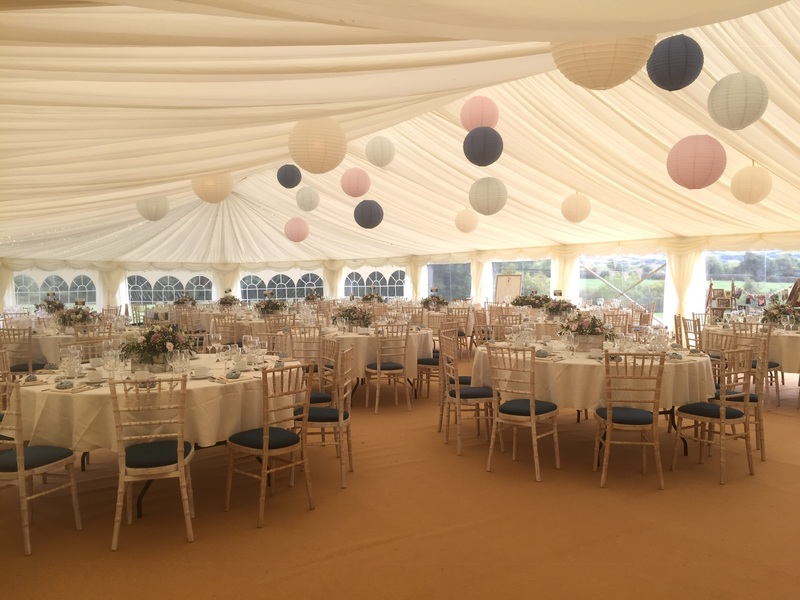 We also poured freshly brewed English breakfast tea and fresh filter coffee with homemade chocolate truffles and mints and glasses of bubbling Prosecco ready for the speeches. 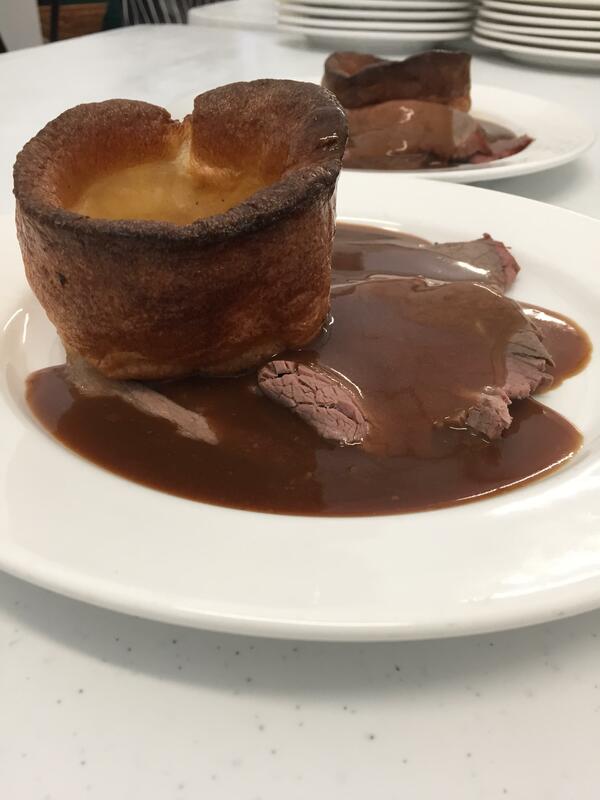 In the evening, we served roast leg of pork with homemade sage and onion stuffing with homemade apple sauce or roast leg of lamb with homemade rosemary and sage stuffing with mint sauce in soft white or granary bread rolls. This provided the perfect warmer, as the evening drew chillier and guests fuelled themselves for a night of dancing. For those looking to soak up some of the beer, we left a platter of Westcountry cheeses: Somerset Brie, Devon Blue, Tickler Mature Cheddar and Quickes Smoked, with an assortment of wafers, celery and grapes along with homemade chutney. 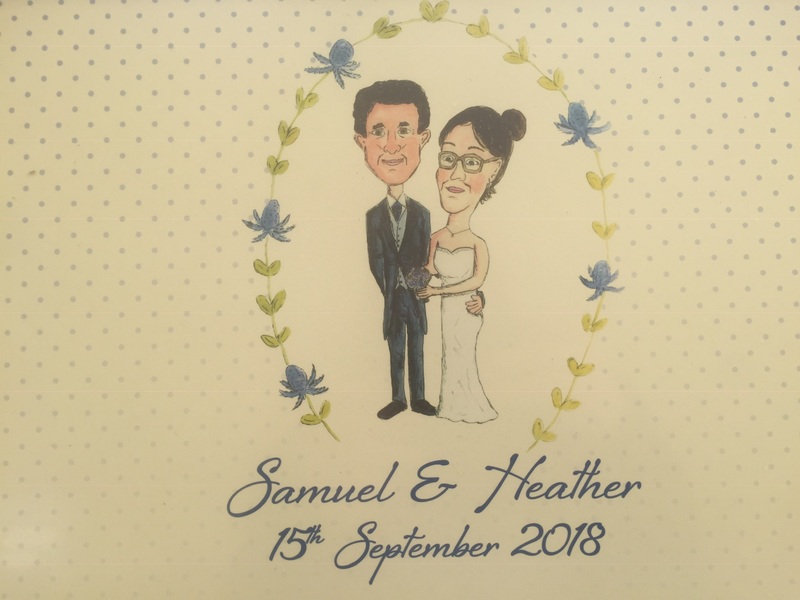 Thank you Heather and Sam for letting us be a part of your special day and many congratulations once again. 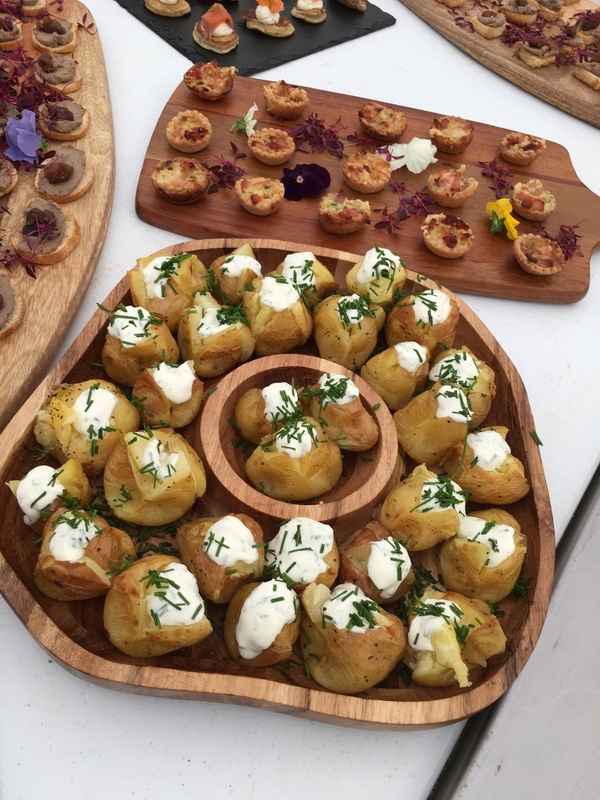 Would you like us to cater for your special occasion? 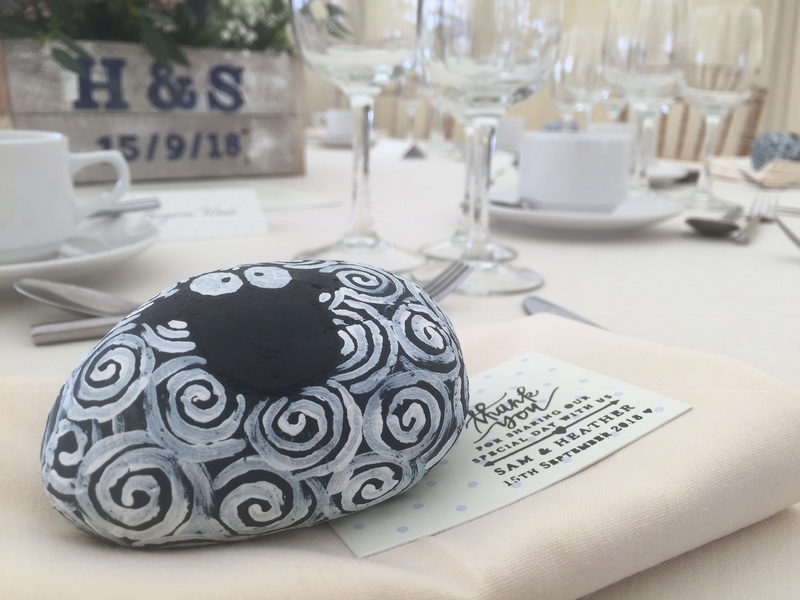 Please do give us a call on 01837 55841 to discuss your special day, we are always more than happy to help.